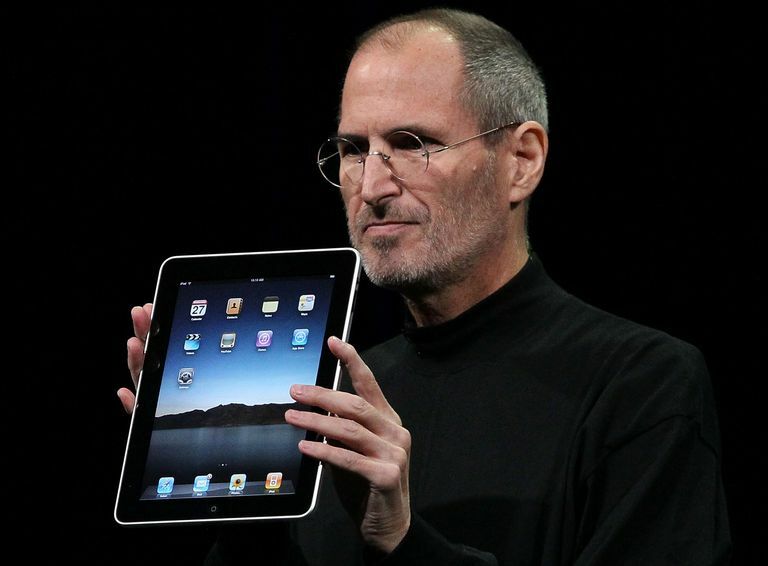 When the first iPad launched in 2010, it quickly changed the way we use mobile devices. With the release of the iPod and iPhone, Apple became synonymous with quality and simple but intuitive design. With its Mac line of PCs and laptops, Apple also became synonymous with high price tags. In 2010, the iPad's launch price of $499 was lower than many expected. Netflix announced an app aimed at streaming content the day before the iPad's release. The Netflix app didn't arrive on the iPhone until later that year, and it wasn't available on the Android platform until over a year after the iPad was released. Netflix's support of the iPad was a demonstration that the industry wouldn't just port apps to the iPad, but would design them specifically for the larger device, an asset that has helped the iPad remain on top. In late 2010, Apple released iOS 4.2.1, which added key features to the iPad that had been introduced on the iPhone earlier that summer. Among these features was limited multitasking, which allowed music to be played in the background while using another app among other tasks, and the ability to create folders. The iPad sold 15 million units in 2010, and the App Store had 350,000 apps available, 65,000 of which were designed specifically for the iPad. Apple released the iPad 2 in March 2011. While the original iPad was only available at Apple Stores and through Apple.com, the iPad 2 launched not only in Apple Stores but also in retail stores, including Best Buy and Walmart. The iPad 2 added dual-facing cameras, which brought the ability to video conference with friends via the FaceTime app. The cameras also introduced the iPad to augmented reality, which uses the camera to display the real world with digital information written over it. A great example of this is Star Chart, which maps the constellations as you move the iPad's camera across the sky. The iPad 2 also added the gyroscope, the Digital AV Adapter that allows the iPad to be connected to HDMI devices, AirPlay compatibility that allowed the iPad to connect to a TV wirelessly through Apple TV, and the Smart Cover, which wakes up the iPad upon removal. In the fourth quarter of 2011, Apple sold 15.4 million iPads. By January 2012, the iPad's all-time sales passed 50 million. Tim Cook kicked off the announcement of the iPad 3 on March 7, 2012, by talking about Apple's role in the post-PC revolution. The New iPad upgraded the back-facing camera to a 5-megapixel iSight camera, adding backside illumination, a five-element lens, and a hybrid IR filter. The camera could shoot 1080p video with built-in video stabilization. To go along with the upgraded camera, Apple released iPhoto, its popular photo-editing software, for the iPad. The New iPad also brought a nice boost in connection speed by adding 4G network compatibility. The iPad 3 brought the Retina display to the iPad. The 2048x1536 resolution gave the iPad the highest resolution of any mobile device at that time. To power the increased resolution, the iPad 3 used a modified version of the iPad 2's A5 processor, dubbed the A5X, which contained a quad-core graphics processor. One key feature missing from the iPad 3 at release was Siri, which debuted with the iPhone 4S the previous fall. Apple held Siri back to give it an iOS makeover and finally released it for the iPad with the iOS 6.0 update. However, the iPad 3 did get a key piece of Siri at release: voice dictation. The voice dictation feature was available through the on-screen keyboard and could be used in most apps that used the standard keyboard. The iOS 6 update constituted one of the biggest changes to the operating system since iOS 2 added the App Store. Apple ended its partnership with Google, replacing Google Maps with its own Maps app. While the 3D Maps app was beautiful, the data behind it was a step down from Google Maps, leading to wrong information and worse, incorrect directions. The iOS 6 update also added an improved Siri to the iPad. Among many changes, the new Siri was able to get sports scores and reserve tables at restaurants, integrating with Yelp information about those restaurants. Siri could even update Twitter or Facebook and launch apps. On Oct. 23, 2012, Apple held a product announcement most predicted would feature the unveiling of the long-rumored iPad Mini, but Apple threw a little bit of a curveball by also announcing an upgraded iPad, dubbed the iPad 4 in the media. The iPad 4 and iPad Mini both released Wi-Fi-only units on Nov. 4, 2012, with 4G versions following two weeks later on Nov. 16. The iPad 4 and iPad Mini combined for 3 million in sales on release day weekend and boosted Apple's iPad sales to 22.9 million for the quarter. The iPad 4 had an upgraded processor, the new A6X chip, which provided twice the speed as the A5X chip in the previous iPad. It also featured an HD camera, and introduced the new Lightning connector to the iPad, replacing the old 30-pin connector standard in previous Apple iPads, iPhones and iPods. The iPad Mini launched with a 7.9-inch display, which is slightly larger than other 7-inch tablets. It also had the same 1024x768 resolution as the iPad 2, giving the iPad Mini some mixed reviews in a media that was hoping for the Retina display to make its way to the iPad Mini. The iPad Mini kept the same dual-facing cameras, including the 5 MP iSight back-facing camera, and supported 4G networks for data connectivity. The style of the iPad Mini was a departure from the larger iPads, with a smaller bevel and a flatter, thinner design. Apple announced iOS 7.0 at its annual Worldwide Developer's Conference on June 3, 2013. The iOS 7.0 update featured the biggest visual changes to the operating system since its release, shifting to a flatter and more transparent style for the interface. The update included iTunes Radio, a new streaming service from Apple and AirDrop, which allows owners to share files wirelessly. On Oct. 23, 2013, Apple announced both the iPad Air and the iPad Mini 2. The iPad Air was the fifth generation of iPads, while the iPad Mini 2 represented the second generation of Minis. Both featured similar hardware, including the new 64-bit Apple A7 chip. The iPad Mini 2 featured the Retina display that matched the full-sized iPad's 2048×1536 Retina display resolution. The iPad Air was released on Nov. 1 and the iPad Mini 2 on Nov. 12, 2013. Oct. 2014 saw the announcement of the next iterations in the iPad lines with the iPad Air 2 and the iPad Mini 3. Both featured the new Touch ID fingerprint authentication. A new gold color option became available on the iPad Air 2 and the iPad Mini 3. The iPad Mini 3 was similar to its predecessor, except for the addition of Touch ID and the A7 chip. The iPad Air 2 got a RAM upgrade to 2GB, the first Apple device to go above 1GB of RAM, and an upgrade to the Apple A8X triple-core CPU. On Nov. 11, 2015, Apple released a third line of iPad products with the iPad Pro. The iPad Pro featured a larger screen size—12.9 inches—with a 2732x2048 resolution Retina display, the new A9X chip and 4GB of RAM. Shortly after the 12.9-inch iPad Pro was released, Apple released a smaller 9.7-inch screen iPad Pro. The smaller iPad Pro featured the same A9X chip, but its smaller screen had a 2048x1536 Retina display resolution. June 2017 saw the release of the second generation of the 12.9-inch iPad Pro tablet and a new 10.5 inch iPad Pro. The new 9.7-inch iPad supports Apple Pencil and is powered by an A10 fusion chip that is capable of powering multiple apps at once and displaying advanced augmented reality apps. The 2018 iPad ships two cameras: an 8MP camera with 1080 HD video and a front-facing camera for FaceTime and selfies. The App Store offers more than a million apps for the iPad. What Are iPad Sales All Time?